So ditch Netflix and power down the iPhone X. Let’s hit the trails to find America’s hidden outdoor meccas. 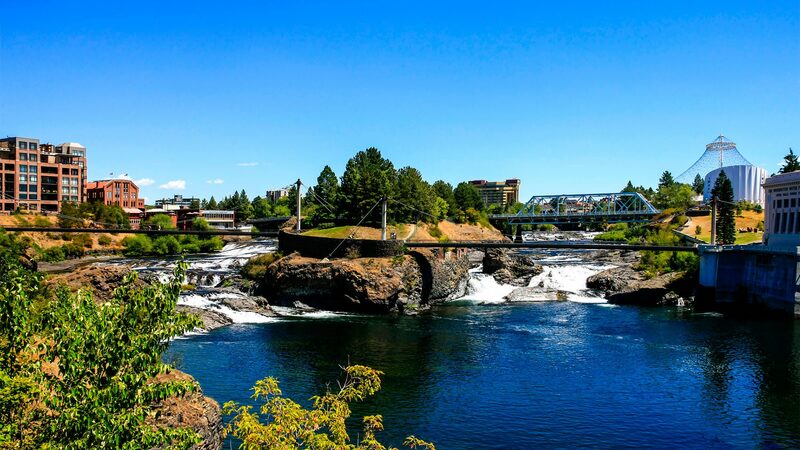 Northern California native Gina Erigero, 19, fell in love with Spokane, and its outdoorsy culture, on a high school volleyball tournament trip. Now she’s a sophomore at Gonzaga University in the city, about four hours inland from Seattle, and is taking full advantage of the outdoor fun. “When you go in a bar, you’ll see fliers up for rock climbing, camping trips, and running groups” instead of for shows, Erigero says. When she’s not running along the Spokane River or camping with friends, she’s hitting the slopes. Growing up, she’d visit Lake Tahoe where a day pass can cost over $200. In Spokane she usually pays $45 for a day of skiing. The area also has a big climbing scene at Mount Spokane. The more adventurously inclined can go rafting on the river or zip lining over mountain streams about a half-hour outside the city. The housing market in Spokane is packed with single-family homes with one- and two-car garages and with some trees on the property, including this three-bedroom Craftsman priced at $249,900. The home has a one-car garage, raised garden beds, and a deck. California has Redwood forests, cliff-lined beaches along the Pacific, and picturesque, vineyard-laced landscapes. But what ordinary humans can afford to buy homes in most of those achingly beautiful locales? That’s where suburban, inland Bakersfield—about two hours north of Los Angeles—comes in. Skeptical? Just hear us out. It’s all about proximity here. 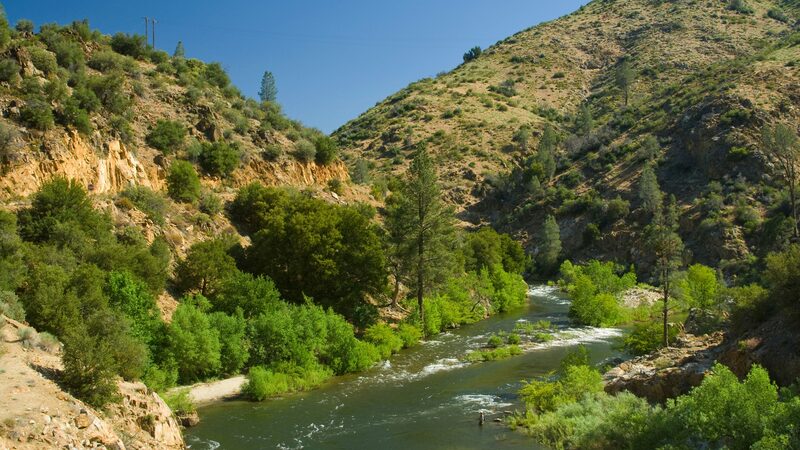 The world-renowned Sierra Nevada Mountains, a must-see for mountain climbers and hikers alike, starts just north of Bakersfield. Sequoia National Forest, with the greatest concentration of giant sequoia groves in the world, is just shy of a two-hour drive north of the city. And the beaches at Morro Bay along the coast are also reachable. And Bakersfield’s own Kern River Parkway Trail, used by pedestrians and cyclists, runs along the Kern River for more than 20 miles. Bakersfield homes come with a relatively modest price tag, listed for about half of the median for the rest of the state. Buyers who enjoy the great outdoors often choose the City in the Hills area on the edge of town, which boasts killer mountain views, Gordon says. Note: Bakersfield would have made the No. 1 spot due to affordability and proximity, but poor air quality bumped it down to No. 2. The Florida Panhandle is a hiker’s paradise, where trailgoers will spot everything from coastal dune lakes to swamps packed with exotic wildlife. 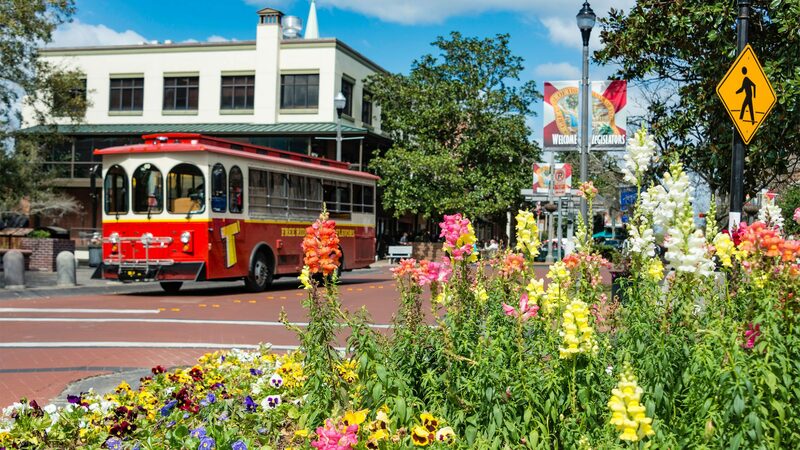 The biggest city in the panhandle is Tallahassee, just minutes from the start of the Apalachicola National Forest, a 630,000-acre retreat covered in pine trees and a local favorite for hiking, off-road biking, and riding four-wheelers. Spotting red-cockaded woodpeckers is an everyday occurrence here. Folks in Florida’s capital appreciate the outdoors. One-story abodes in suburban communities with backyard patios and decks for their owners to relax on are common. They include this three-bedroom Craftsman with a screened porch and a fenced backyard for $229,900. For those who want to take in the natural beauty of the Florida Panhandle (and don’t mind heights), there is the Tracer Hot Air Balloons, a hot air balloon company that offers morning and afternoon rides in Tallahassee. Kalamazoo has the kind of outdoor fun and natural beauty that some might be surprised to find in a major Michigan city—and it’s perfect for campers. Folks enjoy setting up their recreational vehicles and tents at the Kalamazoo RV Park and Campground. It boasts a number of ponds, lakes, and creeks nearby that are perfect for fishing. And residents here can kayak or canoe on the Kalamazoo River, which cuts through downtown. Afterward they can buy some fresh fruit and vegetables at the excellent Kalamazoo Farmers Market. The homes you’ll find in Kalamazoo are typically modest one- and two-story properties on 1 to 5 acres. This provides homeowners with both the privacy and room to host rocking parties around the fire pit. 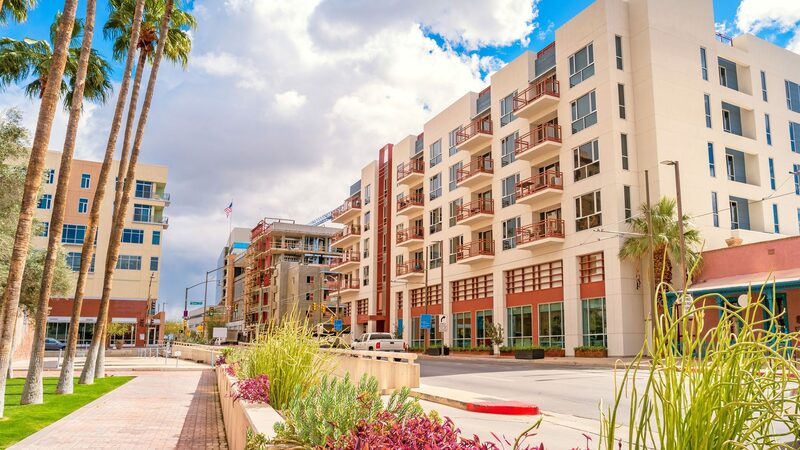 While jogging through Tucson neighborhoods, runners pass territorial-style (Greek Revival and Gothic details added to pueblo-style buildings) and Spanish-style homes dotted with mesquite trees and cacti. There are the staggering views of the nearby mountains to take in. And you can’t have the great outdoors without the wildlife. “One home buyer [who moved here] from Chicago saw a bobcat in their yard one morning,” says John Harings, an associate broker at Excelsior Associates Real Estate in Tucson. You don’t see a lot of those in Chicago! That’s in addition to bats, rattlesnakes, and Gila monsters. Yep, Gila monsters. Just west of the city is Saguaro National Park, which is full with giant saguaro cacti and a common spot where locals go to hike and mountain bike. Sentinel Peak Park, which has an “A” painted at its peak in honor of Tucson-based University of Arizona, is near downtown and another popular hiking go-to spot. Columbus is a great place for folks who want to get outside—to drink craft beer or hear live music. In fact, there are free outdoor concerts every Sunday evening in about a half-dozen locations throughout the city. 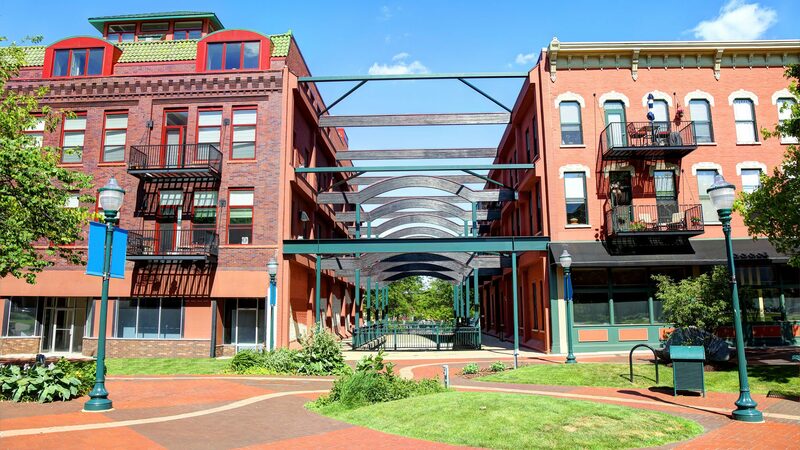 And there are also walkable neighborhoods like Short North, which is lined with new restaurants and beer gardens and hosts the annual Columbus Pride Parade. This area has become Columbus’ ground zero for hipsters. The state capital is the fastest-growing metro in the Buckeye State and has a booming housing market. 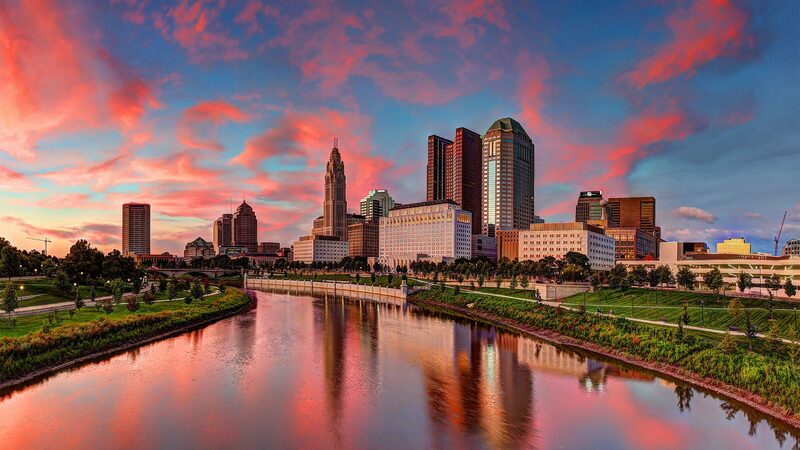 In fact, Columbus scored the second spot on realtor.com’s hottest market list in June. Outdoor lovers in the Columbus metro who don’t want to live in downtown can head just north to suburban Delaware County, where two-story homes range from $199,000 to above $400,000. 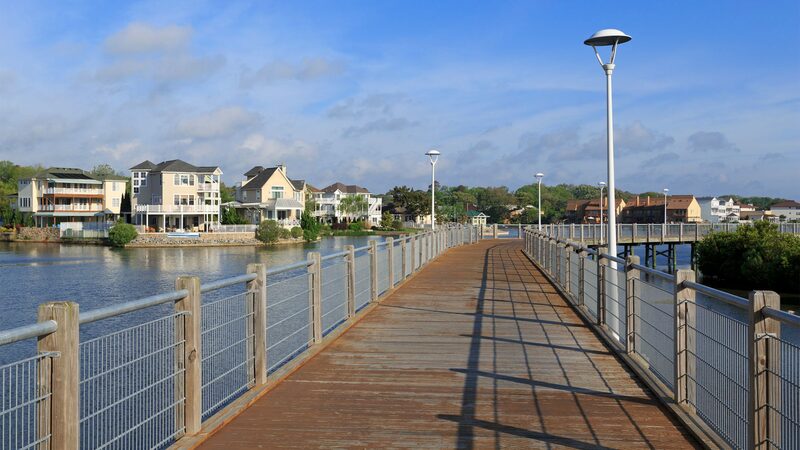 The 15 million people who visit here each year come for the beach, parasailing, and boating—something that folks who live in Virginia Beach get to enjoy year-round. Of course the ocean is a big part of Virginia Beach’s culture. But there’s also a number of great parks just outside the city, including the cheerily-named Great Dismal Swamp National Wildlife Refuge, a 100,000-plus-acre marsh-filled park. Homes right on the water can easily go for north of $500,000—you gotta pay dearly for those ocean breezes. But buyers can get substantial price breaks if they buy a littler farther back from the beach in neighborhoods such as Ocean View and Northside, and still be close to the action. They’re within walking distance to the beach for under $250,000, including this three-bedroom Cape Cod priced at $199,900, with an outdoor shed that is great for storing all your beach toys. Most of them, anyway. Winston-Salem is a not-too-big, not-too-small North Carolina city that comes with a healthy dose of Southern charm, with homes to match (see this cute Craftsman bungalow for $259,900). Despite a population of nearly a quarter-million, the downtown is dotted with classic, three-bedroom bungalows with porches that make getting to know the neighbors easy. The best part? Buyers can still find them in good shape for under $200,000. Local hikers enjoy packing their coolers with sandwiches and beer and heading to Pilot Mountain State Park or Hanging Rock State Park—both around a 40-minute drive from the city. And in recent years, community members here have pushed to expand public greenway space for bikers and runners, including a 1.7-mile Long Branch Trail that opened in April. Located in the Ozarks’ Boston Mountains, Fayetteville is surrounded by pine and red oak trees that cover the range. As a result, homes in this college town are packed with mountain bikes, climbing gear, and hiking boots. Around 15 minutes from downtown is Mount Sequoyah Woods Trail, which has a mountain bike trail that loops through its wooded terrain. What really brings the outdoorsy type here is the 1.2 million-acre Ozark National Forest, which starts around a half-hour drive south of downtown, highlighted by the 200-plus-mile Ozark Highlands Trail. Of the places that ranked in our top 10, Fayetteville had the highest concentration of campsites. “[These days, buyers] don’t care about having a big backyard. 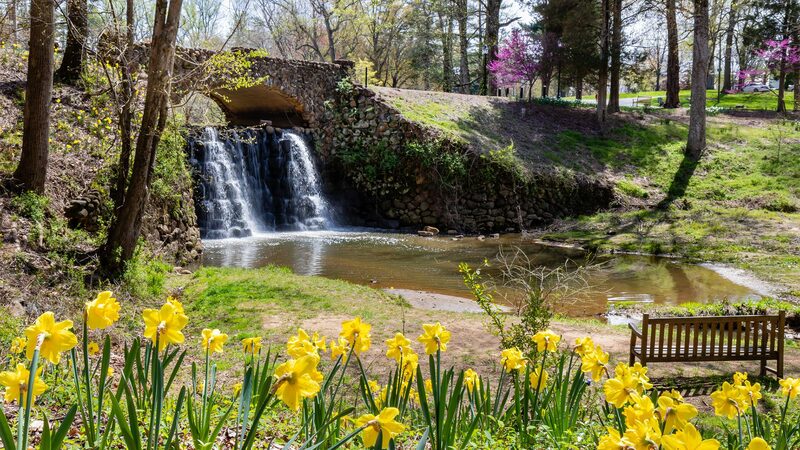 They care about being near parks, walking trails, biking trails,” says Don McNaughton, a real estate broker at McNaughton Real Estate based in Fayetteville. Most of his clients are young singles, couples, and families purchasing their first homes. Buyers can snag three-bedroom, two-bathroom houses in new subdivisions starting around $175,000. Existing homes are a little cheaper, including this traditional-style one-story home priced at $143,000. The Ohio River starts in Pittsburgh and moves south past Cincinnati, but only when it makes it to Louisville does it hit its widest point, topping 1 mile. 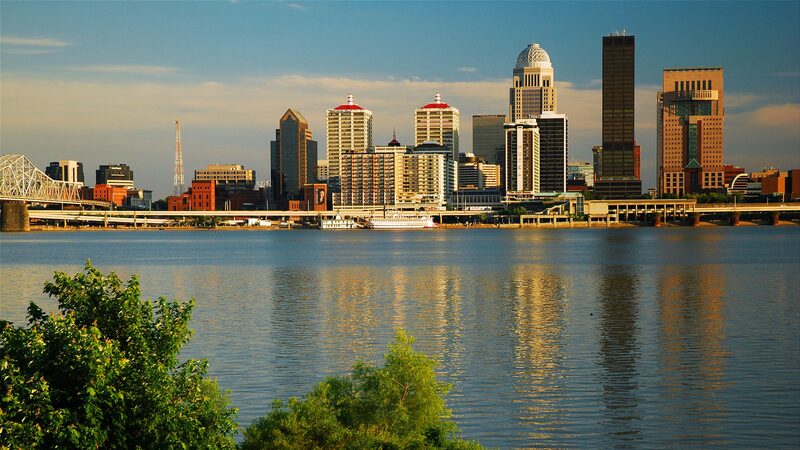 So it shouldn’t surprise anyone that recreational life here revolves around the river, including everything from grilling, to boating, to attending concerts at Louisville Waterfront Park. When the Ohio River flooded this spring, causing around $4 million in damages, Tre Mills and friends grabbed their kayaks and headed down to the river. The 20-year-old operations manager wasn’t alone—he found 60 other kayakers who also didn’t let the high river water stop them from enjoying the outdoors. It’s that kind of place. Home buyers can snag historical two-story homes near its walkable downtown for $125,000 to $350,000, including this renovated Smoketown home built in 1900 for $170,000. The two-story home is just a short walk to Louisville nightlife and shopping. Louisville is home to the Kentucky Derby at Churchill Downs and lots of horse lovers. One go-to for horseback riding is the 35 miles of woodland trails in Jefferson Memorial Forest.